Dying to make that call? There’s no doubt about it: carrying a mobile phone in the car can provide security and reassurance for the driver as well as be a vital aid in an emergency situation. 03.07.2015 - However, not only is it illegal to use a hand-held mobile phone while you are driving – and that includes for texting - it can also be extremely dangerous for the occupants of the car and other drivers on the road. 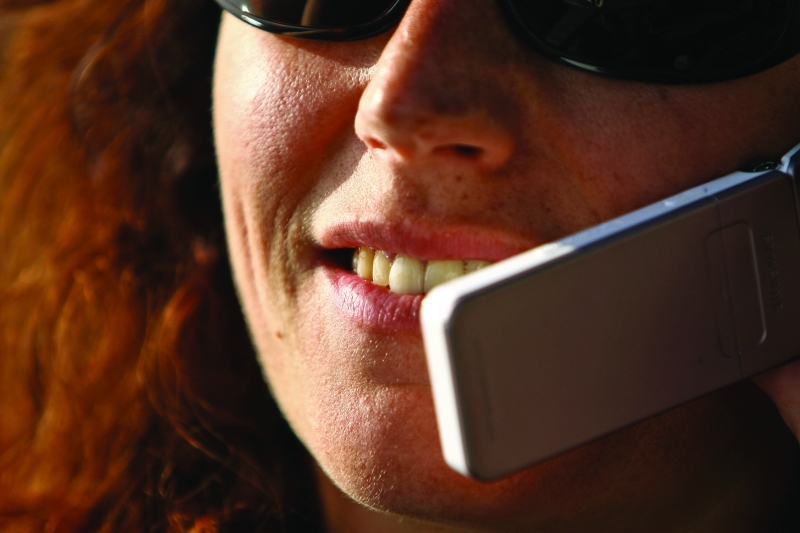 In Spain, the possible legal consequences of getting caught speaking into a hand-held phone whilst driving is three points off the licence and an average €200 fine. These could both be much higher if the driver causes an accident of course, including being charged with dangerous driving – something that could lead to up to five years in prison. Nobody wants the inconvenience of a fine and losing three points but that isn’t the main reason for not doing it. Research shows that using a hand-held phone while driving can make you up to four times more likely to have an accident. This is partly due to the fact that reaction times for drivers who are using a mobile are a scary half-as-good as when driving normally. That could mean that it can take around twice as long to react to any situation: and those precious seconds or even milliseconds can mean the difference between life and serious injury and death – for you, your passengers or innocent bystanders. Even a small prang caused by a loss of concentration can, at the least, be an inconvenience for yourself or others. Whilst legislation does allow for the use of a hands-free system, tests have also proven that concentration ability and reaction times are considerably slower when having a conversation using this method, and causing an accident whilst using hands-free can still lead to a serious charge of careless or dangerous driving being brought. The best solution is to not use the phone when driving: you can always pull over to a safe place and phone the callers back or simply pick up your messages later. After all, is anything really that urgent that you would be happier to accept the possible outcomes rather than wait a few minutes? Gallery: Dying to make that call?